We are the Higher Taste Vegetarian Club. We provide twice-weekly hot vegan lunches on campus every Tuesday and Friday 12 – 2pm from Tuesday, February 2019 (but not during the uni holidays). Come to the Living Room lounge next to the Book Shop on campus. 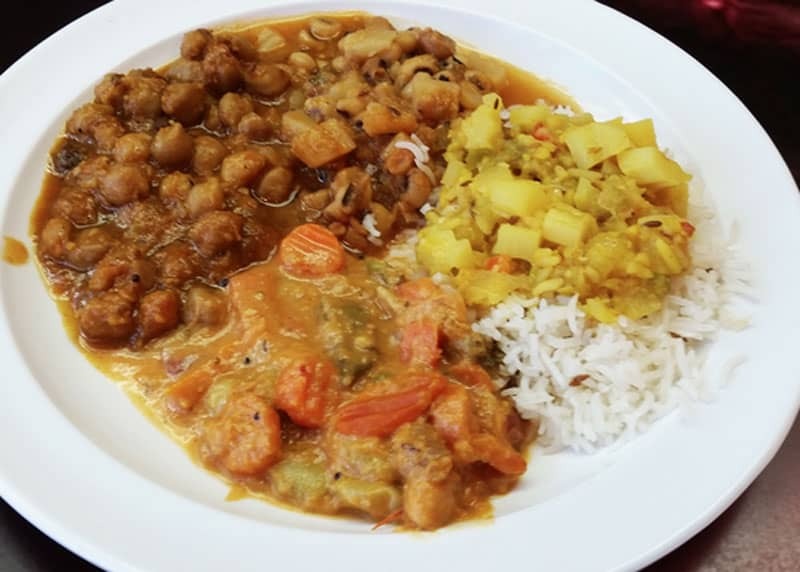 We offer a $5 vegan curry and rice plus other items like samosas, pakoras, apple pies etc. We serve a different curry each time so you won’t get bored. Everyone is welcome, students or non-students. Please try to bring your own plate/container & spoon (can also take the food away). We do have disposable ones available for 50 cent charge .